The Leveraging Equity and Access in Democratic Education (LEADE) initiative provides educational decision makers with research-based tools for assessing equity and access in civic education in order to improve civic learning opportunities in and out of schools for all students. 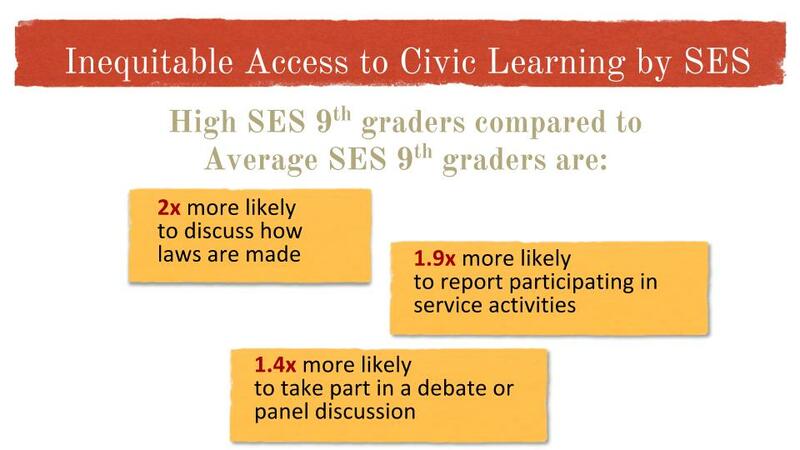 To read more about research on equity and access to civic learning, click here. 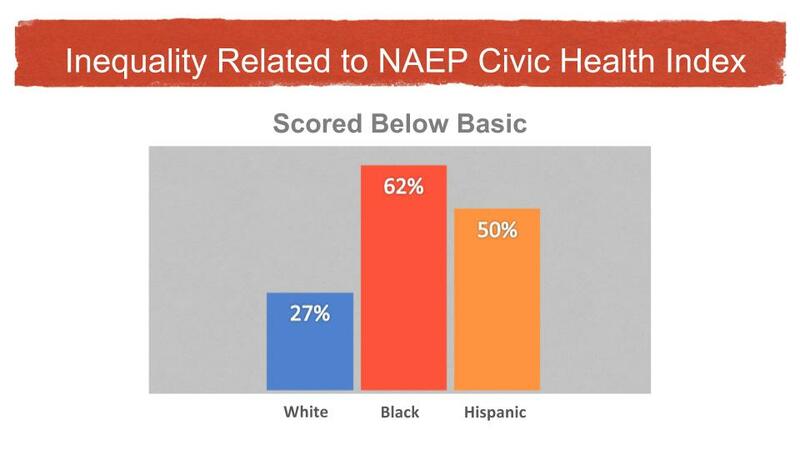 While national and statewide data highlight significant shortcomings with respect to equity and access in civic learning, we lack adequate mechanisms for attending to these priorities in districts, schools, and communities. In response, the LEADE initiative is creating an indicator system of civic learning opportunities and outcomes. Such a system will establish a set of evidence-based tools for assessing equity and access in civic education so that educators and members of civic organizations can work together to improve civic learning opportunities for all students. By providing evidence for informed deliberation, LEADE not only measures civic education, it also encourages a more inclusive and participatory public engaged in public education. 5 Monitoring the Future data analyzed in K. Kawashima-Ginsberg, K., “Harry, Hermione, Ron and Neville – Portraits of American Teenagers’ Extracurricular Participation and Implications for Educational Interventions,” CIRCLE working paper #79, 2014. Retrieved from www.civicyouth.org. 7 Rogers, John, and Terriquez, Veronica. “After-school Civic Learning Opportunities for California Youth.” UCLA IDEA, Los Angeles. 2017. 8 The Guardian of Democracy: the Civic Mission of Schools; Jonathan Gould, et. al; p. 5; The Leonore Annenberg Institute for Civics of the Annenberg Public Policy Center at the University of Pennsylvania and the Campaign for the Civic Mission of Schools.